Yellow brings a burst of sunshine into your living space, lifting the mood and creating a livelier environment. 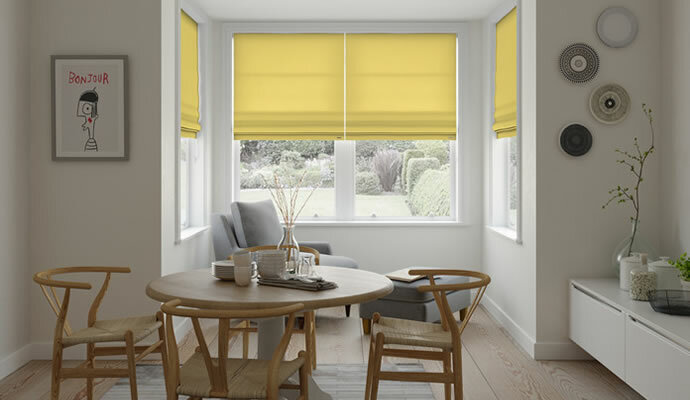 Yellow window blinds are the perfect way to add vibrant colour pops into a room. Shades range from pale, almost cream-coloured yellows at one end of the scale to deep, rich oranges hues at the other, plus everything else in between. The stronger end of the spectrum can be extremely effective when it’s used in a more neutral surrounding colour scheme while softer, gentler yellow blinds work well against other pastel shades. 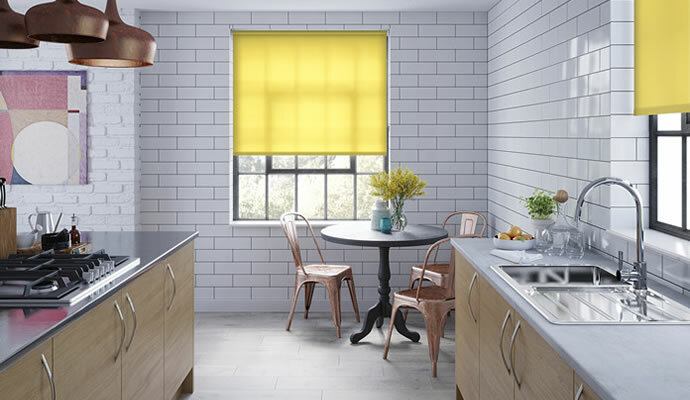 Yellow blinds are ideal for kitchens, delivering a zesty look that works well in a cooking environment. Don’t overlook using them in the bedroom either, where it feels like you’re always waking up to the sun. 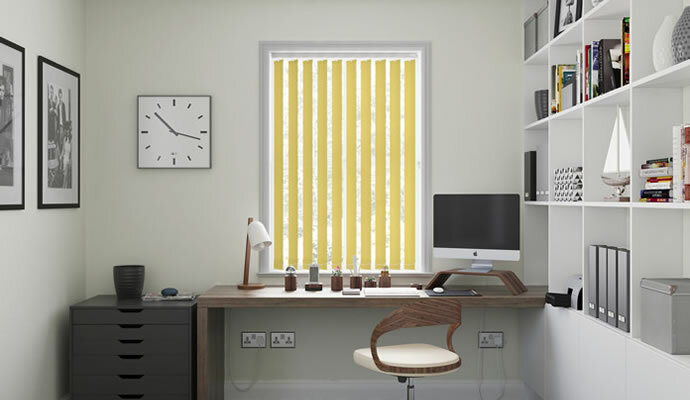 If you’re looking for a clean, uniform look that really stands out, yellow Roman blinds are a fantastic solution, particularly for a home office. 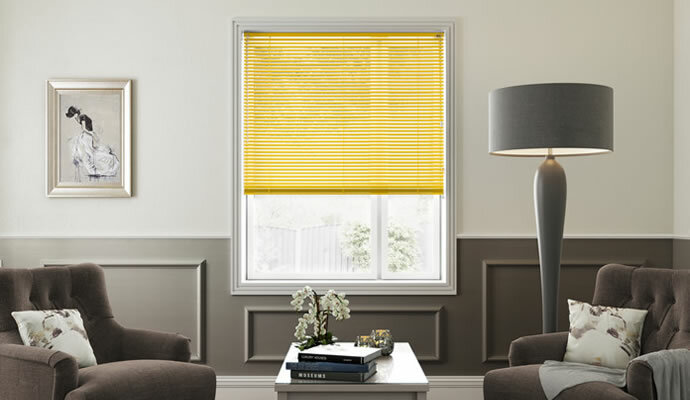 Check out our Standard Collection of Venetian blinds to discover some truly vibrant yellow shades to really bring your windows to life. Yellow vertical blinds can help to transform a large window into even more of a focal point of any room or conservatory. 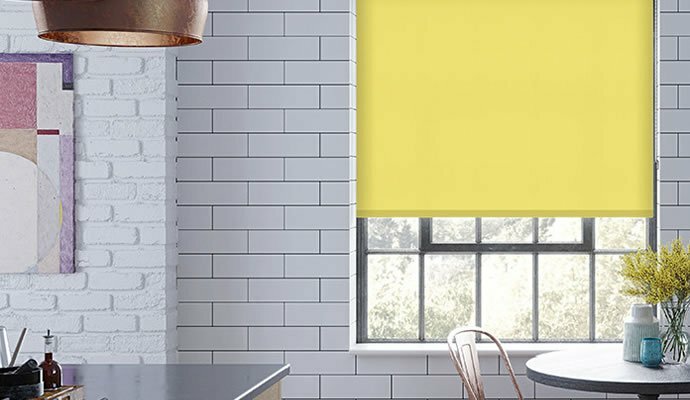 Blackout blinds are an essential if you want to exclude all light, but choosing yellow ones can lift the feel of any room. 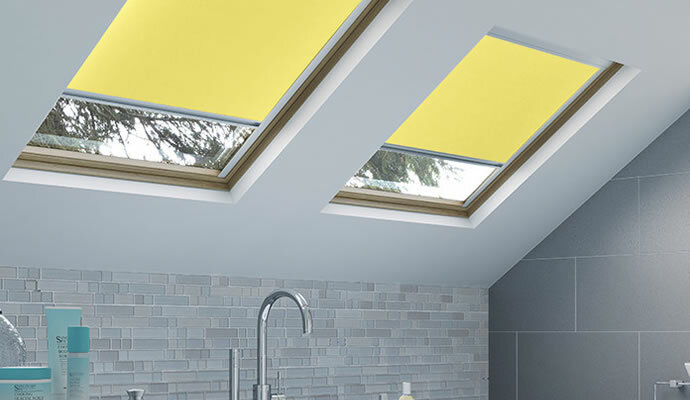 Patterned or plain, our yellow skylight blinds make the perfect accessories and are made to fit all the major manufacturers’ windows perfectly.